There are plenty of reasons why mechanical watches are round. But that doesn’t mean they look best on the wrist. Shortly after the French-Brazilian aeronaut Alberto Santos-Dumont became the first European to achieve sustained flight in 1906, he complained to his friend Louis Cartier that he didn’t want to be fumbling for his pocket watch to measure time in the air. In response, the legendary jeweler invented a small clock to be worn on a leather strap, one of the earliest wristwatches for men. Such pilot watches became popular in the early 20th century, but eventually they took on a round shape – like the dials and gauges in a plane’s cockpit. And with good reason: the technology that makes clocks and pocket watches work had traditionally been round: The interlocking gears and springs in a watch movement are round by nature, and the rotating hands are best read against indexes arranged in a circle. “About 80 percent of watches sold are round, so clearly the market prefers the round shape,” says Paul Boutros, a watch historian and international strategy adviser for Phillips auction house. Pocket watches were so vital to navigation at the turn of the century, he says, watchmakers focused on developing technology to keep them precise through changes in temperature and humidity. They even accounted for body perspiration. 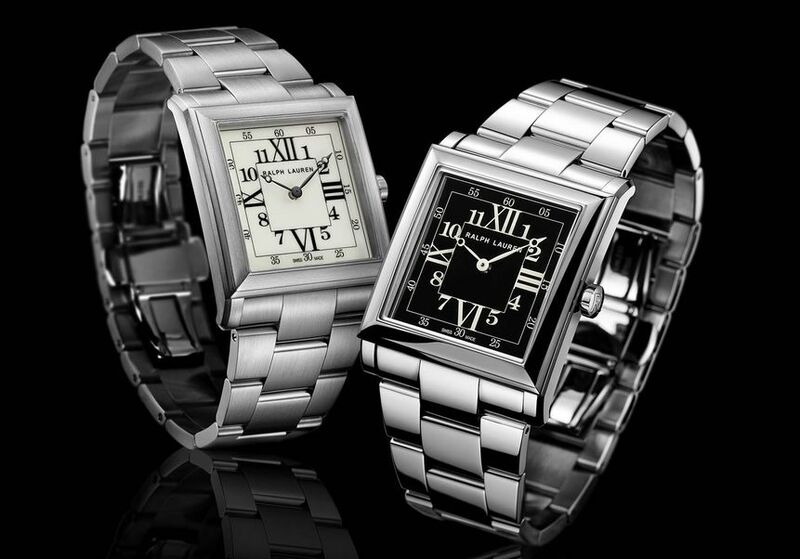 Certain watches remained square over the decades: Cartier’s Tank and Panthere collections, the Jaeger-LeCoultre Reverso, the Baume & Mercier Hampton, and several Bell & Ross timepieces. Last year, Cartier revamped its Santos collection, named after the aviation pioneer, with a signature square case with rounded edges and visible screws (eight around the bezel, plus more in the bracelet). The idea was to capitalize on interest in heritage with modestly sized, angular timepieces that wear well with suits and dresses. 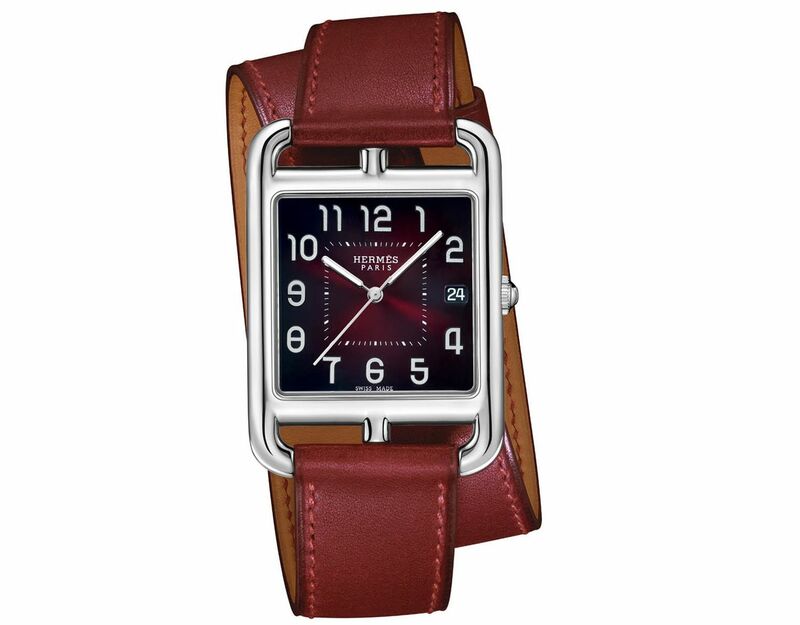 Hermès, like Cartier, is betting that customers want square watches, which offer lines that parallel the edges of the wrist and the cuff of a shirt. This year at the Salon International de la Horlogerie in Geneva, Hermès showcased its Carré H line, a chunky, simple timepiece that almost evokes the rounded-rectangular Apple Watch. The brand is also offering fresh colors and metallics in its Cape Cod collection, also squared-off. Philippe Delhotal, artistic director of Hermès Horloger, acknowledges that the square watch isn’t broadly popular. But the geometry appeals to those who value design. 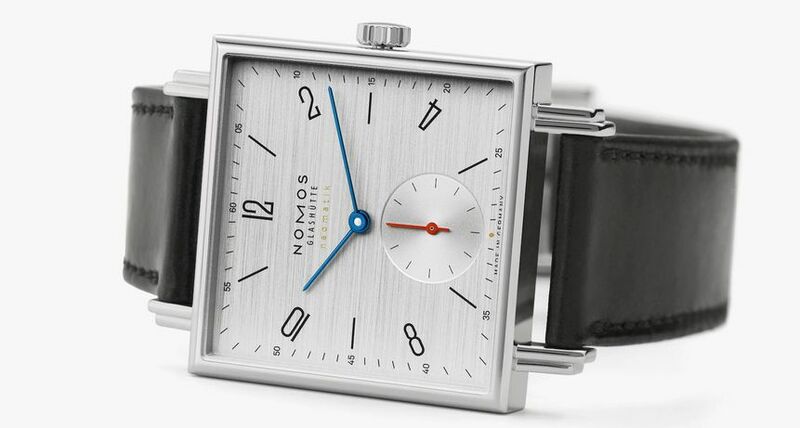 German brand Nomos Glashutte is known for its minimalistic designs, and its high-quality, handmade movements are among the most affordable in the industry. This watch is powered by an ultrathin automatic movement – at only 7.2 millimeters. Its silver-gray rhodium-plated dial is topped with blued-steel minute and hour hands - but most noticeable is a small seconds subdial at 6 o’clock, finished with a red hand (US$3,980). To create the square-within-a-rectangle shape in 1991, Hermès’s legendary artistic director Henri d’Origny took inspiration from Hermès’s anchor chain motif. This year there are two new versions. The first features a dial coated with translucent lacquer and a double-tour bracelet (pictured). The second one uses the anchor motif in the dial, in a black-gold or blue-lacquer finish (US$3,275). Named after the company’s luxury flagship store at 867 Madison Avenue in New York, this watch comes with an off-white lacquered dial with Arabic and Roman numerals. It’s powered by Swiss-made mechanics. The men’s model comes in 18-karat rose gold or 18k white gold (pictured); a women’s version is available with a diamond-set bezel (US$4,950). After its debut in 1969, the Monaco went on to become one of the most recognizable watches in the world. Steve McQueen wore one in 1971 in the film Le Mans, as did Bryan Cranston, more recently, in Breaking Bad. 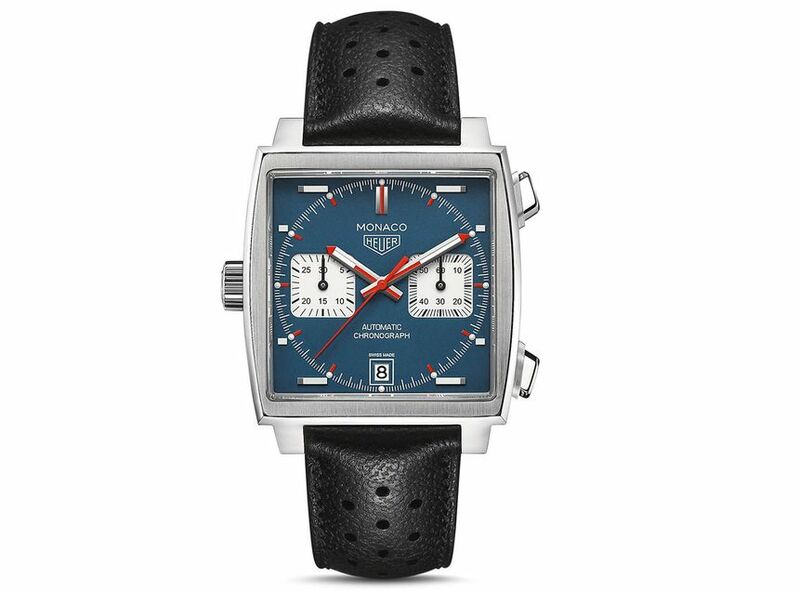 Tag Heuer has reissued a 39mm watch with many of the same design details – metallic blue dial, white highlights, and red minute hand – but it has a new Calibre 11 automatic chronograph movement with a 40-hour power reserve (US$5,900). 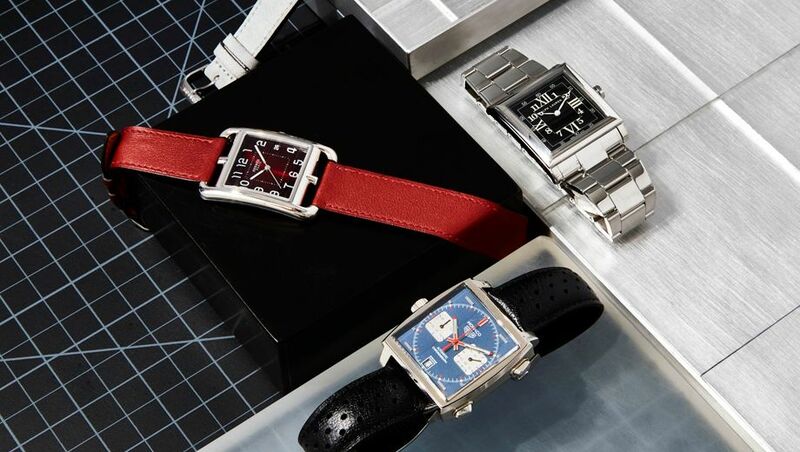 Comment on "These stylish square watches put a new angle on telling time"